There has to be luck in triple numbers, right? So edition 555 is upon us with the chart in its 21st year online. 5 new songs invade the chart, and the Top 10 is all shaken up to the point of crowning a new #1 song. A beautiful video for the new #1 song was released last week and it belongs to “Closure” by Dutch producer Steve Void with singer Andy Marsh. Although Steve has been to the Top 10 3 times before, it’s his first #1. The video is all about four young people who all don’t seem to fit in, but find happiness being together. It doesn’t really have much to do with the theme of the song, but it doesn’t have to. Well done! Mahalo and Le:Blanc move up to #2 with a 2:25 dazzler called “In My Arms” (above). LA-based Mahalo also has a new single that’s totally different in the deep house vein from “In My Arms” called “Go Ahead” featuring MŌZ, below. “Play” by Jonas Blue and Years & Years (above) advanced 6 to 3. Among a number of songs to drop on Valentine’s Day was Years & Years’ “Valentino” featuring UK vocalist MNEK (below). “Don’t Think Twice” is the latest from Netherlands-based Emirati duo Revelries with fellow producer Sam Smyers and vocalist Oktavian. It climbs 10-4 with eyes on #1 but some competition all around so we’ll see what ultimately gets there when it’s time! Another song to watch closely on the chart is “I’m So Tired…” by Lauv and Troye Sivan which is the fastest riser soaring 22-6. The pairing between the two singers was so unexpected but so spot on! Also new to the Top 10 this week are NYC-based singer/songwriter Ryan Gibeau with “Flying Away” (12-9, above) and its retro pop ballad appeal, and The Him’s propulsive “Look At Us Now” (below), bound to be a festival fave soon, as it climbs 13-10. It’s the Dutch duo’s 6th time in the Top 10. Also keep your eyes on “Lift Me From The Ground” by San Holo featuring Sofie Winterson from San’s album1, which moves up 23-15. The bigger the speakers, the better the song sounds! Another song to be played loud at festivals is in the mandatory participation needed in “Repeat After Me” by Dimitri Vegas & Like Mike, Armin van Buuren and W&W. It jumps up the chart quickly 25-19. UK producer Maff Boothroyd has some slick classic house for clubs with “Take Me Away” (above) moving up 27-21. Also new from Maff is “Miss You”, below. “Love” by Simon Curtis is the L.A.-based singer/songwriter’s first new music in 6 years. It’s Simon’s 16th chart entry, including 3 songs on which he was featured, since “Delusional” arrived on the chart just over 10 years ago. Check out the lyric video for “Love”, above. Next up at #24 is the second chart entry for Nashville singer Mokita with “London”. He’s already up at #17 with R3HAB on “All Into Nothing”. Like that song “London” is also a ballad, but more in the indie singer/songwriter style, and it has lyrics that will just make you melt. At #25 is the 11th chart appearance for Sam Smith since 2014 with “Dancing With A Stranger” featuring US singer Normani. It’s a great song that mashes up perfectly with Majid Jordan & Drake’s “Hold On, I’m Coming Home”! It’s Sam’s first entry since songs from his fine second album The Thrill Of It All. Dutch producer John Christian has a #26 debut with “Let’s Get This Thing Started”, a fun mix of deep house and booming big room sounds. It also uses the music from the 70’s hit “Popcorn” by Hot Butter as a hook. Listen for it! View the full BILLCS Top 30 right here! Click on the hyperlink on the song titles to hear the songs or watch the videos! Continually one to watch as he grows and grows within dance music, Australia’s busy and prolific and ever-touring Throttle tackles a very different but next level style for him with “All In”. As co-written with singers/songwriters A*M*E and MNEK, “All In” is smoking R&B dance music that is a surefire strong bet for international play on dance music radio stations and in clubs. Although uncredited, I would gather that the vocal also belongs to MNEK, already out there with his new songs “Tongue” and “Colours”. Even if not, the vocalist tackles the song in the way any powerhouse would and totally goes neck-and-neck with Throttle’s inventive and complimentary production. A song like “All In” only makes you want to hear more collaborations by the three principals, who are onto a good thing that can only get better! Add “All In” to your Take No Prisoners dance playlist using the Spotify link above. We have more new music out there in the world to listen to than ever, yet our favourites remain near and dear to us. One of those continues to top the BILLCS Top 30 while new ones bubble underneath. “Something Just Like This” by The Chainsmokers and Coldplay stays atop for a fourth appearance – that’s eight weeks, while new official pack arrived within the last two weeks. Absolutely no complaints about the selection: R3hab, Alesso, Don Diablo, Like Mike & Dimitri Vegas, Jai Wolf and ARMNHMR. Since Alesso’s latest arrives in the Top 10 this week, check out his remix above. Any of the Top 5 that are still on the rise have what it takes to be at #1 in two weeks. “Something To Say” (above) by Toronto’s Loud Luxury and Ryan Shepherd advances to #2 with its warm and crowd-pleasing redux of Craig David’s “Fill Me In”. L.A.’s Mahalo collaborates again with singer Cat Lewis for the rollicking “WTFYWF” (below) which moves up to #4, while WLRD and SMLE take “Stranded” (also below) 9-5 thanks to an amazing vocal by Kiddo AI which caps a song that sounds like nothing else out there. Toronto’s Blajk are resurfacing after a quiet few months – they play Toronto’s NXNE festival in late June. “Lethal”, from their EP Limited, holds at #6. “Stay” by Anton Zaslavski – I mean Zedd – and Alessia Cara is becoming one of the biggest hits of 2017, and the official video dropped this week. To think in 2012’s video for “Spectrum”, both Zedd and Matthew Koma only had fleeting cameos! It moves up 11-8. It’s definitely a grower, but some remixes also arrived this week for “I Wonder” by The Him featuring LissA, by Westfunk and Teelena. Check out the latter’s below. As I mentioned up top, “Falling” by Alesso becomes the Swedish producer’s first Top Tenner here, rising 16-10. With a new song hot off the presses as well, Axel Mansoor’s “Wasted My Love” is the fastest riser on the chart, soaring 19-12. The sweet voice, the beautiful melody, and the thoughtful lyrics are what will win you over if you haven’t yet heard him. One to watch!! And free to download below. Although it’s more of a French-appearing moniker, Lulleaux is from The Netherlands and the very catchy – thanks to a trumpet melody that recalls Capital Cities’ “Safe And Sound” – “Sinner”, with vocals by SVM, climbs 18-13. The Knocks (BRoc and JPatt) are already recording their second album, so think of this EP of Testify as a palate-whetter, with “Worship” featuring MNEK being a focal track, which rises 17-14. No sooner than “Sign Of The Times” drops and his self-titled album is on the way, but Harry Styles launches a huge tour which will sail into a city near you. “Sign Of The Times” climbs 21-15. “Runaway” by Spirix featuring Xuitcasecity is no slouch either in its second appearance, with a killer melodic hook, zipping into the Top 20 23-17. The Netherlands’ Steve Void has a new single coming soon too called “West LA”, and while “Never Been Better” has taken a little while to shift into high gear, it moves up 26-21. Bowing at #26 is “Heavy Hearted”, a beautifully sung EDM mid-tempo ballad as recorded by the mysterious producer Murky, featuring Polish singer Anuka to make the song really sparkle. Get it for free at the link above. Captain Cuts may be new performers but they are hardly new to the music scene. The trio are well-established producers, songwriters, and remixers, witness Walk The Moon’s massive “Shut Up And Dance”, Bebe Rexha’s recent “I Got You”, and Grouplove’s “Tongue Tied” for three! “Love Like We Used To” has all kinds of pop potential as well as for clubs with a variety of remixes, including by Canadians Young Bombs which lands at #27. Arriving at #29 is Philadelphia duo N I G H T S, whose spicy mix of R&B and EDM has yielded the strutting “Party”, which is also a free download at the above link. By no means least at #30 is Australia’s Spenda C featuring rapper Cult Sh∅tta and an uncredited female vocal in “Release”. I just love the way this song flows between pop, EDM and hip hop. The Chainsmokers continue keep our attention, with their debut album Memories…Do Not Open due this week, and a third song just released in advance of the album called “The One”. But for me it’s currently all about their collaboration with Coldplay on “Something Just Like This”, which scores a second appearance at #1 handily. “Something To Say” by Toronto’s Loud Luxury and Ryan Shepherd has got such a great house groove but it’s also such a singalong to the lyrics of Craig David’s “Fill Me In”. I heard it at a club last night and it sounded amazing. “Something To Say” soars 8 to 4. After laying low two weeks ago, “Memories Of You” by Miami’s Alyx Ander featuring Srey Davi is on the move again, climbing 7-5. New to the Top 10 is another Toronto band called Blajk, who I’m hoping will surface to perform songs from their EP Limited, such as the one that moves 12-9, a seductive song called “Lethal” thanks to Jordan Radics’ unique vocal. It’s 2-for-2 as L.A.’s Mahalo scores a concurrent Top 10 hit here with “WTFYWF”, once again featuring vocalist Cat Lewis, rising 15-10. “Be My Love” drops to #7 from its #5 peak, and the duo have released a 4th single called “Current Mood”, which I wrote about yesterday! All of last week’s debuts lead the big movers on the chart. The fastest riser is “Stranded” by The Netherlands’ WRLD and Miami’s SMLE featuring a stunning vocal by Kiddo AI that will leave you hanging for more at the end. It vaults 21-13. Not far behind is the riveting collaboration of Zedd meets Alessia Cara with the bouncing, joyful “Stay”, climbing 22-15. “I Wonder” is a bright, shiny mid-tempo dance song that stands out in a crowd from Dutch duo The Him featuring vocalist LissA, and climbs 24-17. “Worship” by The Knocks featuring UK singer MNEK will get you down on your knees on the dance floor in complete bliss. It’s from The Knocks’ new EP Testify and jumps 25-20. Yet another Dutch producer, Lulleaux, is on the move with his latest song “Sinner”, featuring vocals by SVM, and it leaps 27-21. The 25 year old Swedish producer Alesso (aka Alessandro Lindblad) arrives on this chart for the first time with his beautiful new song “Falling”. I’ve always enjoyed Alesso’s style over the years, more so earlier songs such as “Calling (Lose My Mind)” with Sebastian Ingrosso and Ryan Tedder, and “Years” with Matthew Koma. “Falling” has a breathtaking uncredited vocal that marries beautifully with Alesso’s melody, and it bows at #23. “Wasted My Love” is a mid-tempo indie EDM ballad by L.A. based singer/songwriter Axel Mansoor that’s available as a free download. It’s a lovely song sung with cool confidence about a relationship that was not meant to be, and premieres at #25. Also on the indie tip at #28 is the versatile pop/dance song “Cruel” by another L.A.-based singer/songwriter, Eddy Faulkner. The slick production, sensitive vocal, and dark undercurrent make this one a winner. It’s so much of a pleasure to hear great voices blend together, and such is the case with Canadian/American trio Parallel 3. I only happened to find out about them as I wrote about (2015 Master Chef Canada Top 4 finalist!) Cody Karey last year when he recorded a slick cover of The Weeknd’s “Earned It”. Cody is joined in Parallel 3 by fellow Canadian Marc Devigne and American Brett Pruneau thanks to the wonderful ears of producer Trevor Hoffmann. The mashup of course is a great choice of international pop/dance favourites by Zara Larsson & MNEK and EDM stars The Chainsmokers & Daya. The trio shows what great songs these are stripped down to their vocal essence. I’m sure with these kinds of vocals the guys have all kinds of music up their collective sleeves, and if you fondly remember the Canadian vocal group The Nylons, then you will know that there is room in the international market for Parallel 3. Looking forward to hearing more!! Watch the video below. “Let You Go”, the R&B-infused single from River Tiber’s When The Time Is Right EP, garners the pole position. It’s River Tiber’s third jaunt at #1, following 2012’s “Someday” and 2013’s “The City”. But Tommy Paxton-Beesley is definitely on the right track with his new songs; River Tiber’s recent performance at Adelaide Hall in Toronto to me was a personal best! Folks, be sure to check out When The Time Is Right on iTunes. Zipping all the way to #6 we go for a new Top 10 entry from Brooklyn’s Great Good Fine OK, who also reside with The Chainsmokers at #3 with the other “Let You Go”. “Something To Believe In” is the compelling duet with St. Lucia full of gorgeous vocals and instrumentation. It’s from GGFO’s EP 2M2H. Vancouver’s Tyler Shaw is on point with his current single “Dizzy” from his debut album Yesterday. You can hear it all across Canada on the radio (all the more reason for international readers to find this out with online radio links). “Dizzy” climbs to #7. Venturing into my city for a concert with a serious of guest singers is Disclosure, who with Sam Smith glide up to #8 with “Omen”. It’s their third Top Tenner following last year’s #1 “Latch” (with Sam) and #10 “F For You” (with Mary J. Blige). Also new in the Top 10, following that infectious seductive piece of business called “Guilty As Sin” (which peaked at #3, and falls off the chart) is a soft and sinewy number called “My Religion” by Toronto’s Dan Talevski, climbing 18-9. Canadians continue to boom in the Top 10, with River Tiber, Tyler Shaw, and Dan all aboard (Dan also co-wrote Tyler’s previous single “House of Cards”). The fastest riser on the chart should be no surprise to readers who followed my recent post about Chicago-based singer/songwriter Lucien Dante’s album Our Of We. “Black Water” is oh-so-different but captivating with a unique vocal and arrangement. It soars 21-10. Sugar can get stuck easily but with a little persuasion it can be moved. After holding at #13, “Sugar” by Robin Schulz and Francesco Yates continues to advance up to #11, with its amusing slapsticky video well worth watching. While Brandyn Burnette’s #1 “I Wanna Be (Free)” had a deservedly phenomenal ride on this chart for the last 20 weeks, it moves down to #2 and will depart the chart, leaving room for the heartfelt and catchy “Life’s A Beach” to continue to rise. It leaps 22-12. A reminder – it’s available for free from Brandyn’s website as part of The Bright Side Mixtape. Dance clubs totally get it and the so song is headed for the Top 20 on Billboard’s Dance Club Play chart. Matthew Koma’s “So F**kin’ Romantic” moves up 17-14 – more Matthew to come! Can you say DNCE?? Well if you like to DNCE then you can say it 😛 Joe Jonas’ new project is well on its way with the carefree “Cake By The Ocean” climbing 25-17. Check out the new video above, which is light years away from The Jonas Brothers. Like Brandyn Burnette and Great Good Fine OK, Sam Smith has two entries in the chart, the latest being the theme from the upcoming James Bond movie “SPECTRE”, “Writing’s On The Wall”, which moves up 23-19. “Bow Tie” by Diego Gomes (another Canadian!) gets far too easily stuck between your ears thanks to a snappy vocal and clever lyrics. It rises 27-21. Leading the debuts is “I Wish (My Taylor Swift)”, a special pairing off DJ/producers The Knocks and singer Matthew Koma at #24. Despite its title and subject matter, it’s a really clever song with a laid back, dreamy melody. It’s the second appearance for The Knocks on this chart, following their 2013 cover of M83’s “Midnight City” with Mandy Lee (#8). Arriving for the first time since 2005’s “Krafty” (#5) on this chart is enduring UK quintet New Order, one of my favourite bands of all time who have recorded many must-have’s in my book – “Blue Monday”, “The Perfect Kiss”, “Fine Time”, the list goes on and on. Their latest album and first for Mute Records is Music Complete – their best IMO since 1989’s Technique. “Plastic” is the second single, which bows at #25. It’s New Order creating dance music at its best, drawing from numerous influences through the 70’s to their own music and perhaps even Bernard Sumner’s 90’s side project Electronic. Turn it up loud and move those feet! Bowing at #28 is a duet between 17 year old Swedish star Zara Larsson and new UK sensation MNEK with “Never Forget You”. The pairing is just dynamite, and I predict great things for both song and singers. Readers of this blog know that I’ve written about MNEK several times since 2012, when the talented singer/writer/producer – who recently co-wrote and sang on Madonna’s “Living For Love” (!) – was also just 17. He’s since been similarly behind the scenes for UK #1’s by Oliver Heldens, Little Mix, and Duke Dumont, too. Rounding out the chart at #29 is the latest single from Years & Years’ still-stunning debut album Communion. The gorgeous ballad “Eyes Shut” debuts as long-lasting #1 “Shine” leaves the chart. It’s the group’s fourth chart entry also following “King” (#1) and “Desire” (#7). You can hear me online on http://www.planetradio.ca every Monday after 10:00 pm EST counting down a Toronto Top 10 chart from yesteryear! If you thought pairing up New York producer/DJ Chris Malinchak with star-on-the-rise Mikky Ekko for the American funk of “Stranger” was sheer bliss, then how about UK soul wunderkind MNEK? “Happiness” is the best kind of emotional, mid-tempo house music, and it’s an honest and catchy throwback to late 80’s hitmakers like Terence Trent D’Arby, Sydney Youngblood, and Colonel Abrams. Can’t wait to get this one once it’s released but for now, give a listen below. It’s been about a year and a half since I last wrote about British singer/producer/remixer MNEK being someone to watch for, and 2014 could see that breakthrough given the quality of his new single “Every Single Word”. Back in 2011 he was somewhat of a whiz kid on the scene at only 17. Now at 19 and signed to Virgin, it looks like his own recordings and performances could be poised for great things. “Every Little Word”, supported by a colourful Lamar & Nik video, has a really 80’s new jack swing retro vibe but with a vocal quality that will put him in the same leagues as fellow Brit Sam Smith, but with more rhythmic songs. An equal joy to listen to, and as a free download available below, is his ‘refix’ of a song that would be considered now as a guilty pleasure to some – Lumidee’s 2003 Top 5 hit “Never Leave You”. But the singer nails it and brings out a convincingly fun vibe to make the song his own. You can get “Every Little Word” on iTunes now. Well my Monday certainly kicked off with a blast, with the arrival of the video for Adam Tyler’s “Like A Drug”, and more new music from Vincent Did It (formerly Frankmusik) with “Somebody”. I’ll throw in songs and/or videos from four new faces as well. Adam Tyler has been whetting our appetites for the last while with picture previews of stills from the video for “Like A Drug”. It dropped yesterday and serves as an eyebrow-raising calling card for the talented L.A. based Missouri native. We’ve already seen videos for 2010’s “Friction” and last year’s first single from the Shattered Ice album “I Won’t Let You Go”. This time though it’s an all out assault on our senses, as this well-directed video takes us into a cavernous warehouse where naughty and/or naasty things may happen depending on your temptation. Vincent Frank is back in his element. He may be about to make the best music of his career if recent songs “Dynamo”, “So You’re Alive” (video is below), and “Somebody” are any indication. The singer is in his best voice with some of his best lyrics, not without some humour, as well on “Somebody” as he encourages everyone “don’t let the bastards bring you down”. The singer himself has had to rise above so much himself over the last year and I’m glad that he can release it through his songs. Keep it coming – can’t get enough! And it’s only January!! MNEK is 17 year old British singer Uzoechi Osisioma Emenike, who has already risen to cutting edge prominence with a Top 5 UK hit under his songwriting belt, “All Fired Up” by The Saturdays. He’s remixed for Graffiti 6, Frankmusik, Colette Carr, Tinie Tempah, Olly Murs, and Simon Curtis. And he’s recording his debut album, to be released next year. In the meantime, he’s offered up the cheery and soulful “If He’s The One” with a big voice way beyond his years. 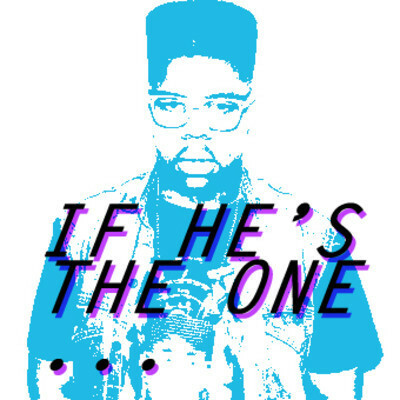 Watch out for this talented lad and download “If He’s The One” below for free. 26 year old Maria Apetri is Fallulah, and hails from Denmark, where “Out Of It” has already topped the charts recently. The singer compares at times to Florence Welch but has a softer quality about her. I’ve been listening to a remix of “Out Of It” for a while now, which brings out the eerie undercurrent of the song better than its original video (above). That’s definitely owing to the talented remixing of Monsieur Adi, who you’ll know this past year from remixing Darren Hayes’ “Bloodstained Heart” as well as producing his own songs as well, such as “Chariot”. Listen to the Adi remix of “Out Of It” below and mix it up with songs like “Ghosts ‘N Stuff” by Deadmau5. New York trio Liquid Diet comprises Georgia, Billy, and Jonathan, and with the entertaining video for “Hand Dance” they join in some very good company – Divinyls, Cyndi Lauper, The Vapors, and others – who have all sang hits about the thrills of self-pleasure. Not so guilty pleasure? You bet! Great fun that goes well with a song like Databoy’s “Stupid”. Download it for free below for a limited time. Chromatone has meshed up rock, jazz, funk and soul, for a slick and danceable affair with “One Half”. Like some other recent singers from the UK, Chromatone will remind you of some of the best US and UK soul/pop singers of the last 20 years, like Terence Trent D’Arby, Andrew Roachford, Remy Shand, and Jay Kay of Jamiroquai, with obvious influences from masters like Stevie Wonder. It’s that classic jazzy guitar playing though that makes you notice. Songs like “One Half” signal more energetic delights to come. Download it for free below.